The University of New South Wales Climate Change Research Centre (CCRC) is a multi-disciplinary research group comprising one of the largest university research facilities of its kind in Australia. CCRC houses research expertise in the key areas Earth's climate: atmospheric, oceanic and terrestrial processes. We apply basic scientific principles to pressing questions on climate dynamics, global climate change, and extremes of weather and climate. Our oceanographic research focuses on the ocean's role in the climate system: including large-scale physical oceanography, coupled climate modes and regional ocean circulation, palaeoclimate dynamics, the ocean's thermohaline circulation, and global biogeochemical cycles. Scientists at CCRC employ a variety of research tools including global and regional models of the atmosphere, ocean and land surface, coastal domain simulations and process models. We also use a great variety of data collected from satellites, weather stations, ships, eddy-flux towers and aircraft from regions as diverse as the Great Barrier Reef, the tropics, urban surfaces, the Tasman Sea and Antarctica.  The CCRC is the lead institution in the newly formed ARC Centre of Excellence for Climate System Science, a multi-university initiative to advance fundamental climate sciences in Australia.